UNITED NATIONS, July 3 -- How far will the UN go to try to ban dissent and to censor those who question it? Recently Inner City Press asked the UN to respond to what a Somalia whistleblower told it, that the head of the UN Mine Action Service in Mogadishu David Bax has been sharing genetic information from bombings with US intelligence. While still not answering the question, now after 10 days, the UN is conducting a witch hunt seeking to root out the whistleblower. 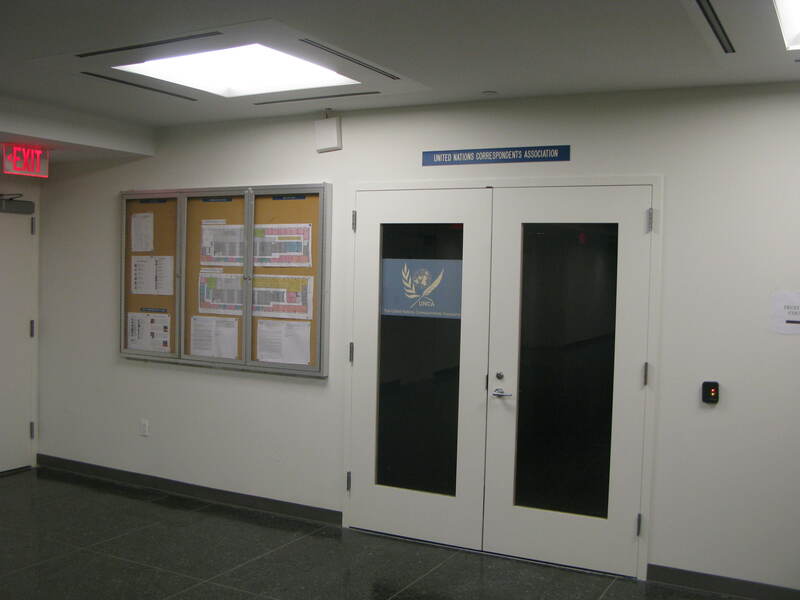 On a smaller scale in UN Headquarters itself, the UN seems intent on trying to ban the sign and even name of the new Free UN Coalition for Access. UN video here, from Minute 19:44.
Who in the UN decided what to cut out of what purports to be a transcript? What is the basis of the deletions? If they cut this, do they cut or change whole questions? Answers? We have asked. 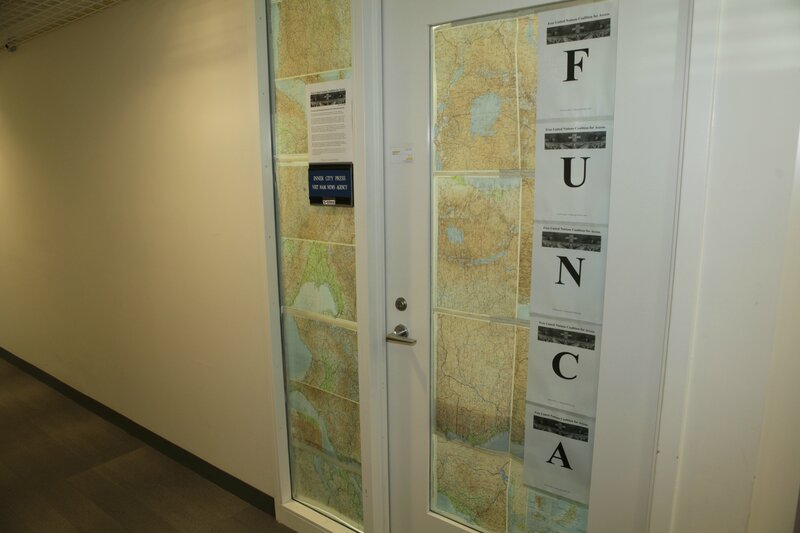 This takes place as the UN Department of Public Information has threatened to suspend or withdraw Inner City Press' accreditation for having a FUNCA sign on the door of its office - despite the fact that UNCA is allowed two signs, and much more. Even amid this censorship, FUNCA continues its work, pushing inside the UN to restore space for the press and public 100% eliminated in the new General Assembly Hall, and on July 3 supporting a FUNCA member in Somaliland, protesting the jailing of two fellow journalists there. But how far with the UN go to try to ban dissent and to censor those who question it? And what does it undermine? Watch this site.